WHAT ARE PRIVATE XC SESSIONS? Our private cross country (XC) sessions consist of One on One, Dual Student, Triple Student and group sessions. Private sessions for 1 to 3 students are for 1 or 2 hours while private group sessions are 2 hours to allow everybody to have time for learning to occur. Momentum Is Your Friend employs PMBIA and MTBA accredited coaches. All of our Sessions can be brought as a gift voucher. All you need to do is let us know you in the comments section when ordering. What is a One on One session? A One on One session is just you and a coach. This is designed to give you maximum attention and time during the session. One on one sessions will be tailored to your current skill level with the view to advancing your riding skills and confidence. Get full attention on what you want to learn, just you and the coach. What are Dual & Triple Student sessions? Dual or Triple Student sessions is you, a friend or two and a coach. This is designed to still allow you to still have much more personal attention from the coach than a group session full of strangers, but share the experience and cost. This benefits those who are uncomfortable with the One on One scenario and, because there are two or three students in the session, costs you less money as well. What is a Private group session? These sessions are designed for those who want to get a few family members or friends together and enjoy progressing their skills together. With between 4 and 6 people in the group, it takes more time to for everybody involved to have a go at the skill or skills being taught. For this reason, private group sessions are 2 hours in length. Our private sessions will be tailored to what you would like to learn and what the coach sees as necessary after assessing your riding. 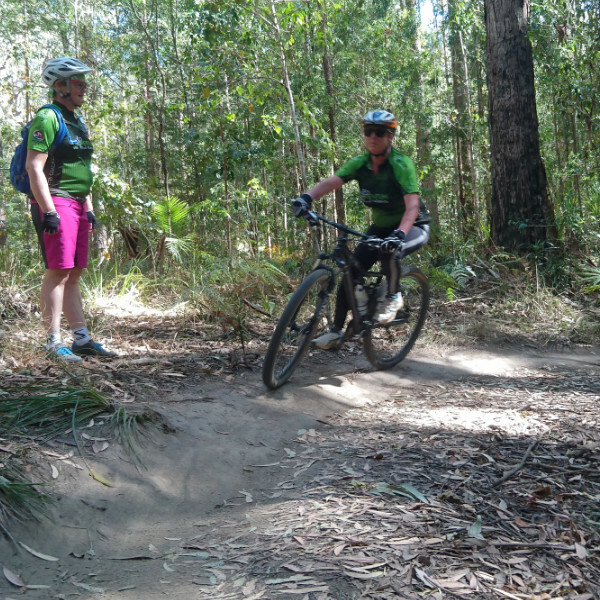 Private sessions can be beginner or intermediate or even a mixture of both depending on your specific mountain biking skills. The skills you learn could vary from basic trail riding through to gaining speed or even getting a little air. Although we may prompt you to learn certain skills, in the end you will decide what you learn. Are private sessions for me? "I'd like to learn with a friend along." "We have small group of us that would like to learn a couple of specific skills together." If any of these statements sound like you then perhaps our private sessions are for you. Although your mountain bike can be entry level, it is required that your bike is fitted with mountain bike tyres and not touring/semi-slick tyres. If you are unsure, please ask us. We do ask that, to the best of your ability, that you try to ensure your bike is in good working order prior to the class. You are required to wear a correctly fitting, Australian approved helmet during all sessions. 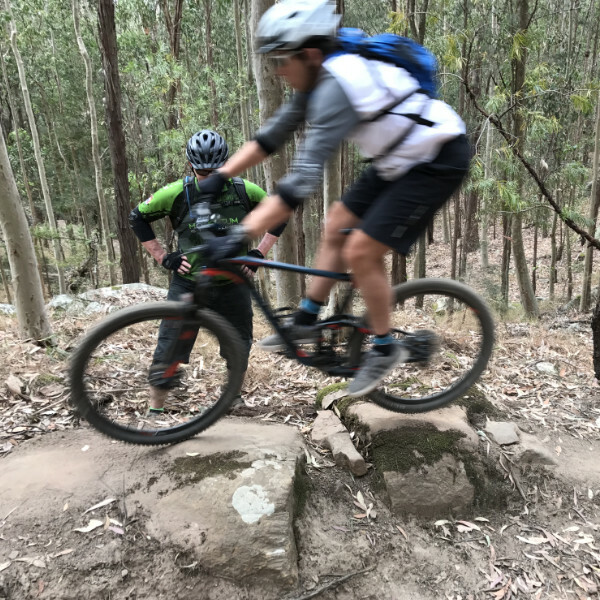 Although not compulsory or required for beginners, having a dropper post on your bike is an advantage for some intermediate and advanced skills. Although not compulsory, we do recommend considering extra protection in the form of soft shell pads. You not only gain the protection but also the confidence that comes from knowing you have the protection. Book a Personal Session Today by contacting us for dates and time options!